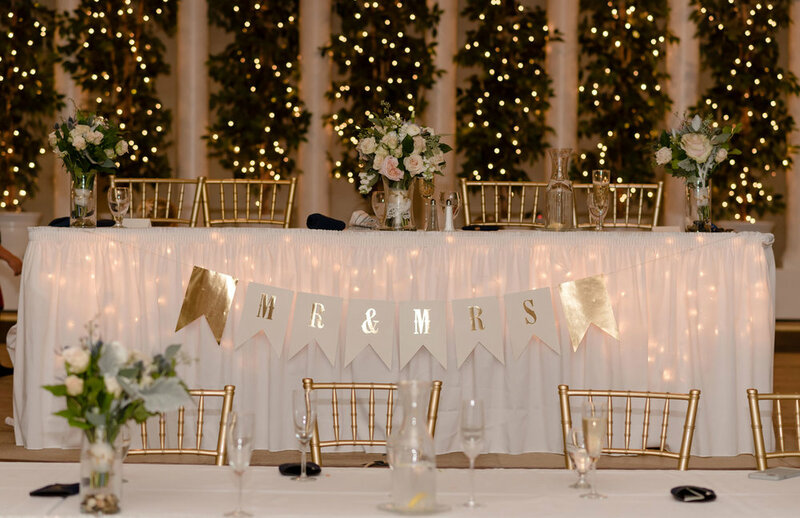 Parkway Place has just the setting for your reception, including our Main Ballroom for large weddings and our Mt. Vernon Room for smaller, more intimate weddings. Let Parkway Place manage the details of your wedding reception so you can look forward to enjoying your stress free and special day. We are more than just a reception venue; including services such as catering, a fully stocked bar, on-site baking, DJ, linens and much more! Your dedicated Event Coordinator will work closely with you and your own wedding vendors to keep the evening running seamlessly and to your specifications. Let us make your dream wedding a reality. There are so many venues in the Toledo area to choose from but Parkway was worth every penny! I received so many compliments on the great food and service – a big kudos goes out to the Parkway staff!! Elegant hall unlike anywhere else. The evening ran smoothly with great staff. Not a single issue with the entire process. I would do my wedding all over again and not change anything with this venue. From the exceptional guidance we received while planning the reception to the beauty of the room when we arrived to the friendliness of the staff we could not have wished for a better experience.